Pour all of the spirits into an ice filled glass. 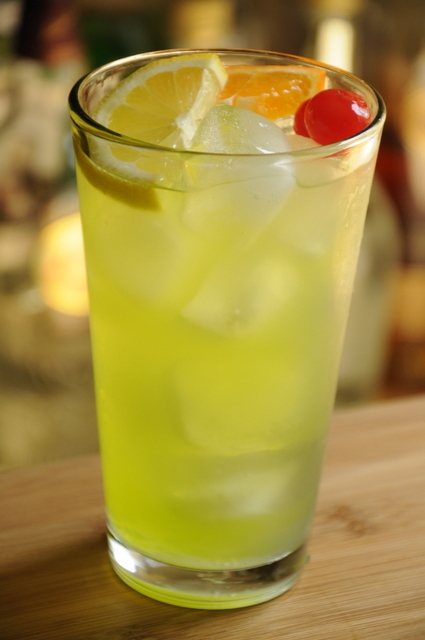 Add the sweet and sour and top it off with a splash of lemon – lime soda. Garnish with a lemon wedge.